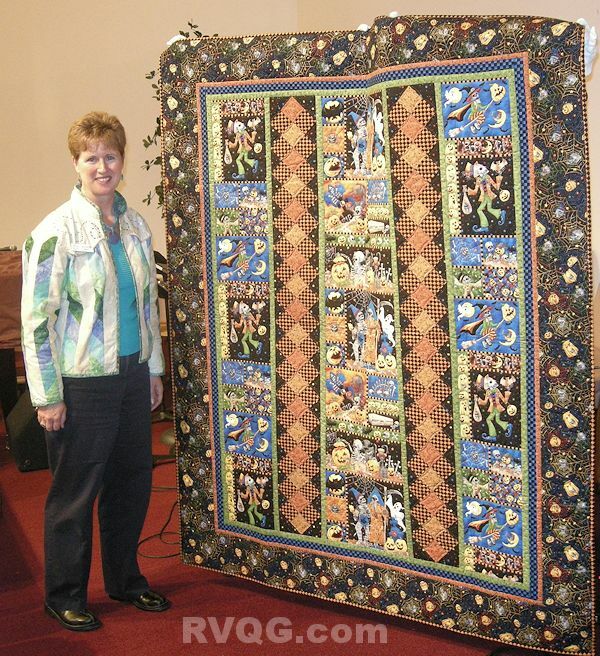 Here's Patti Carey with one of the many quilts she showed at our General Meeting on October 22. By all reports there were a lot of great ideas shown! I am sorry I missed it. The workshops page has been updated to include all the information on our February workshop, the Colourplay Weekender Bag with Trisha DellaVella and Mary Eeg. There are still spaces for those who would like to sign up! Click here to read more. The next block in our calendar BOM is a candle. If you didn't get your copy at the meeting, you can also find it on the Block of the Month page. I received a lot of great photos of the Show & Tell quilts. Watch for them early next week. Happy sewing everyone!